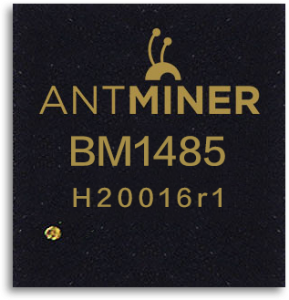 If you’re looking for the most efficient Bitcoin mining chip you can find today, Bitmain’s BM1387 is what you need. 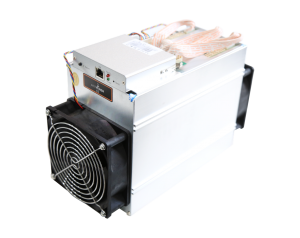 The Antminer T9+ combines the power of 162 such mining chips. 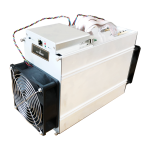 This gives you performance, stability and efficiency that you simply won’t find in any other consumer Bitcoin miner. The design of the Antminer T9+ uses the same form factor as other hugely popular Bitcoin miners produced by Bitmain, like the Antminer S9. This miner’s small footprint means it will fit in any environment. Whether you’re using it at home as a standalone miner or you have a mining farm with dozens of other devices, you’ll definitely appreciate its small size. The T9+ miner is powered by a control board featuring Dual ARM Cortex A9 microprocessors and a Xilinx Zynq 7010 FPGA. The device also supports full Gigabit Ethernet connectivity, which helps make sure that all blocks you mine can be submitted without any delay. 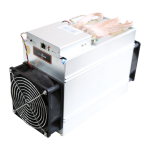 Keeping the device cool while it does its job is a challenge when designing any highly powerful cryptocurrency miner. 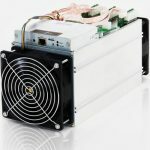 The engineering team at Bitmain has come up with a solution that allows the T9+ to work at full power, yet remain cool. All of the T9+’s mining chips are fitted with specially-designed heat sinks crated with a high-grade aluminum allow, just like its case. The miner features two computer-controlled cooling fans on both end of its case, which helps ensure adequate cooling at all times. 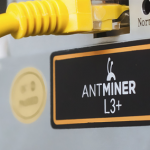 The Antminer T9+‘s user interface comes with a clear and simple layout, making it very easy to get mining as soon as you receive the device. To begin mining, you simply need to input your mining pool settings and wallet address. Other configuration options can also be set from the web-based interface. The control panel can be quickly updated whenever a new version has been released by Bitmain. Power connection mode All three PCI-E ports are required to power the board. You can use one PSU to power multiple boards, but do not attempt to power one board with two PSUs.We suggest to prevent the control board to be powered up before hash boards be powered up.